Open-world games have been suffering from a size and “things to do” problem for years, placing hundreds of icons on a map and enticing players to get there as quickly as possible so they can experience all of that nebulous content. It’s a problem that’s led to games that feel more disjointed than ever, despite worlds that often feature enormous and beautiful spaces to explore with little to no loading times. Red Dead Redemption 2, however, manages to resist this trend by making the journeys you take just as if not more important than your ultimate destination. Through a mix of carefully-paced storytelling and gameplay, you rarely feel like you’re wasting a moment heading from one town to another, despite how often you’ll find yourself trotting along on your horse at just a few miles-per-hour. Rockstar Games clearly didn’t want its world to come down to a series of forgettable missions scattered across an enormous map. Fast travel can only be done after paying a high fee for upgrades, and even then, it can only be used to travel from your camp to a few select cities. Taking the train or a stagecoach from town to town will also cost you, and there are times when you’ll have to spend 10 or 15 minutes galloping across the frontier as you transport a fugitive or search for a legendary animal. It can take a while to get from point a to point b in Red Dead Redemption 2, so we sped it up 2000%. This would seem like an inconvenience in almost any other video game, but the world itself is crucial to Red Dead Redemption 2’s success. Its excellent linear missions are complemented by the seemingly random moments you’ll find yourself in as you go from point to point. As I was closing in on the Van der Linde gang’s camp, hoping to chat with my friends about our next criminal scheme, I heard some men’s voices up the road. An explosion knocked me off my horse, and they popped out from behind cover to ambush me. This could have happened at any time – or at least the game gave me that illusion. What if I had taken a different route? What if I weren’t on my horse? It put me on edge to the point of always having my weapon ready to go, despite the fact that this was only the third or fourth time I had been ambushed during my entire time with the game. I could have killed them, and if I did, would I be seen as a hero or branded a cold-blooded murderer? 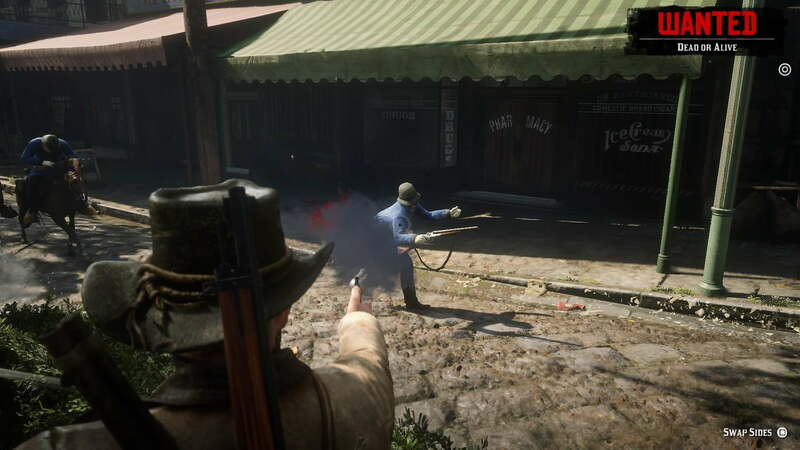 During other emergent events like this, Rockstar gives you more choice over whether or not you want to take action, further enforcing the idea that this is your story, even if nearly everything you can do is planned in some way by the developers. While moving between cities, I heard a gunshot ring out and looked to my left, where a few prisoners had just killed the man transporting them across the country. I had my weapon ready and likely could have taken them in for a reward, myself, but I felt compelled as an outlaw to let them have their freedom. After hesitating for a few seconds, they ran away, as did I, in fear of being blamed for what happened. I could have killed them, and if I did, would I be seen as a hero or branded a cold-blooded murderer? It certainly would have made my version of Arthur a more complex character, living a life as a fugitive while keeping others from doing the same. Red Dead Redemption 2 certainly isn’t the first game to have these sorts of open-world activities. They were also present in Grand Theft Auto V to an extent, but the morality of them is far grayer than I’ve ever seen in a game before. If you see a thief steal someone’s bike, the choice you have to make is a pretty easy one. See a down-on-his-luck outlaw rob a stagecoach, however, and it becomes more difficult. Your right to kill in the Old West is limited to self-defense, but in practice, you get to define “right” and “wrong” on your own terms. The game’s honor system will judge you based on your actions, but there’s enough wiggle room to tell your own story without throwing it into disarray. Throw out all of these moments, however, and it would still be worth making the long journeys between objectives in Red Dead Redemption 2 because Rockstar hates dead air. Building on its previous open-world games and riffing on similar ideas that God of War tackled earlier this year, Arthur is almost always talking about something with his companions during their travels. It’s rarely 100-percent crucial information for understanding what’s about to happen during the mission, but instead gives context to characters’ actions and helps to flesh out the world. For the time being, Red Dead Redemption 2 is unique in its ability to make the journey feel like the destination. The idle conversations can even seem irrelevant, but they add depth to allies and enemies who might get ignored in cinematics. These moments can stick with you. Remember the “hipster” argument in Grand Theft Auto V? It occurred when Michael and Trevor were driving down a highway, had no bearing on their current objective, and was time that could have been spent discussing something more relevant — but it was a crucial moment to understanding their relationship and helped to frame every other interaction they had. Not every moment in Rockstar’s games has to be like this, necessarily. I’ve encountered a few missions that I felt I had to complete immediately to fit with the urgent way others talked about them, and those justified my use of fast travel. For everything else, however, I knew that my journey would define my playtime, rather than my ultimate goal, and I allowed the game to shape my path. That’s a remarkable level of trust for a player to have in a game, particularly with so many other titles simply offering up more fetch quests instead of activities that actually make sense to complete as you move from point to point. Rockstar’s goal is not to throw you off your path, but to make it more exciting and unpredictable. Ironically, the influence Rockstar has over the gaming industry could inevitably lead to this unpredictability becoming predictable, but for the time being, Red Dead Redemption 2 is unique in its ability to make the journey feel like the destination. It justifies its massive length not through tedium, but through methodical pacing, and I wouldn’t want that to be compromised for the sake of brevity. 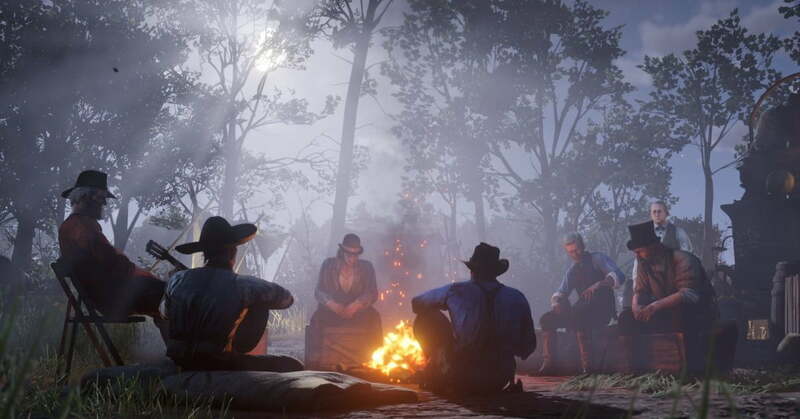 Yes, it will take you a very long time to get through Red Dead Redemption 2, but the friends (and enemies) you make along the way really are the most important thing.